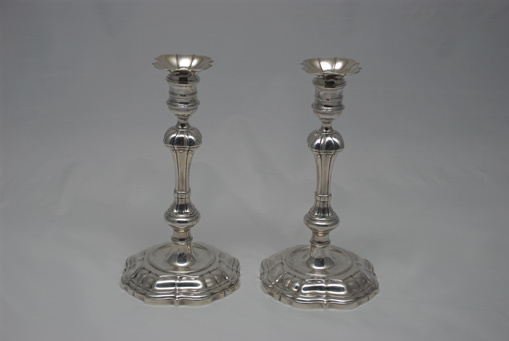 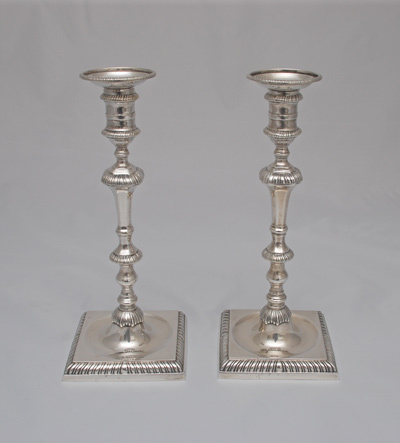 Undoubtedly the most requested of all articles of silver are candlesticks. 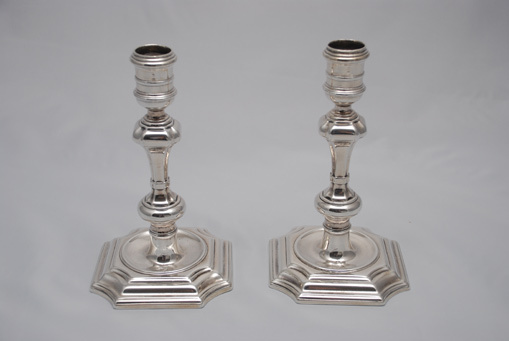 Although candlesticks were used in the earliest of homes everywhere, survivors, pre-1660 are rare. 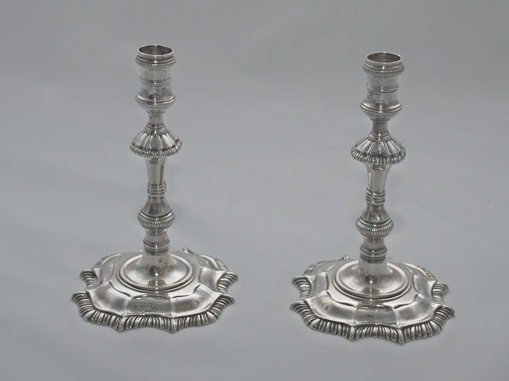 Candlesticks were first cast in France in 1690,1 the technique being rapidly adopted everywhere. 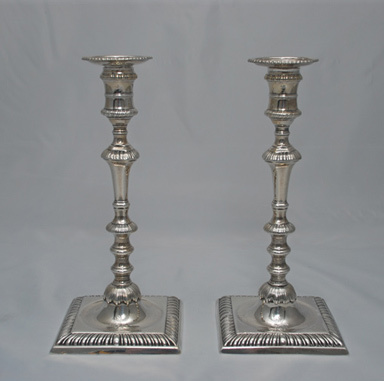 Pairs are always preferred, but the most elegant tables require a set of four. 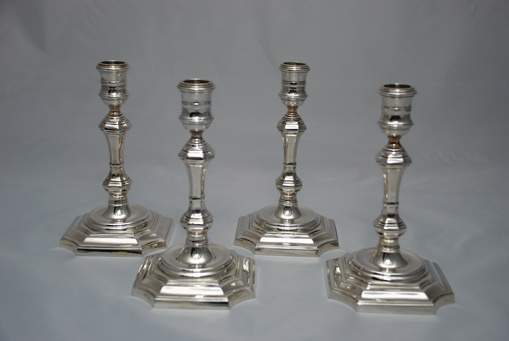 Tapersticks are miniature replicas of candlesticks for holding wax sticks used for sealing letters. 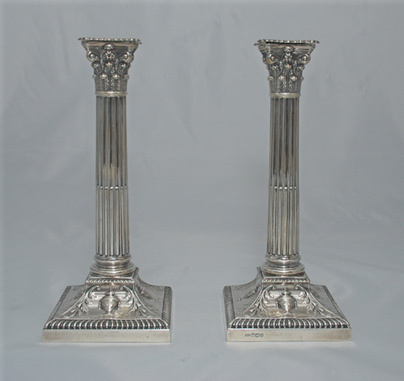 They were used primarily from 1685 until 1775, when coiled tapers virtually replaced them. 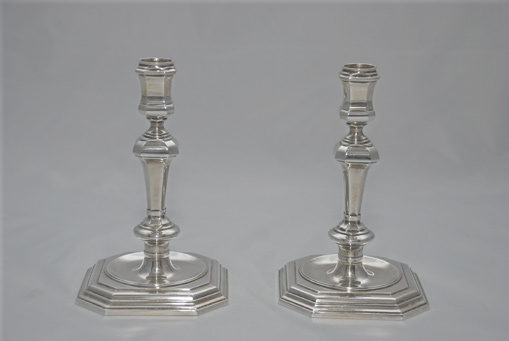 Single tapersticks are often the more easily acquired as their origins were other than for lighting, and they are extremely desirable in pairs. 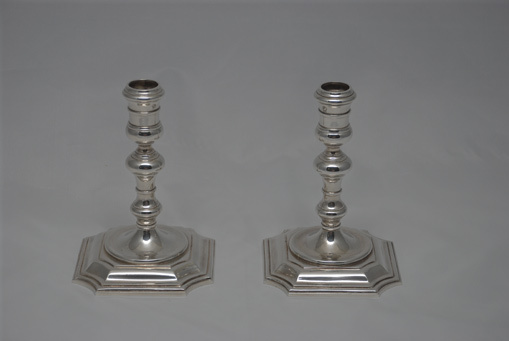 Two Pair Cast Sterling Candlesticks by Tiffany & Co. 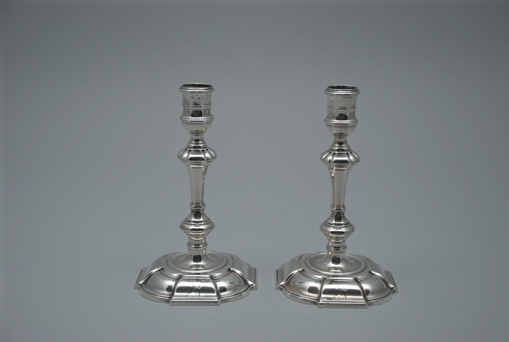 Pair Cast Sterling Candlesticks by Tiffany & Co.